The bad news for the automaker is in overdrive. Should they refresh their logo to signal positive change? The bad news at Toyota is in overdrive. Since the recall of the Prius for its deadly acceleration problems, the carmaker has been hemorrhaging sales and consumer confidence. Now, even its luxury brand, Lexus, is under investigation for “stability” problems. Ouch! Megabrands implode all too often. The bigger they get the more fragile they become. It may be as troublesome as unethical labor practices or just too many coffee shops. Most are expert at crisis management and eventually survive. In the best case they fix the problem and a forgiving public embraces them once again. However, there’s always a lingering memory of a tarnished image that can compromise a brand whether it is Toyota or Tiger Woods. As part of the recovery process some brands seize this occasion to refresh their brand identity or logo to signal positive change. This is usually coupled with earnest ad campaigns to help shore up brand loyalty. At Walmart for example, their logo change was introduced when they started to feel the heat from bad press about questionable environmental and HR policies. The change has lightened their image but it’s up to them to mirror it in their behavior. 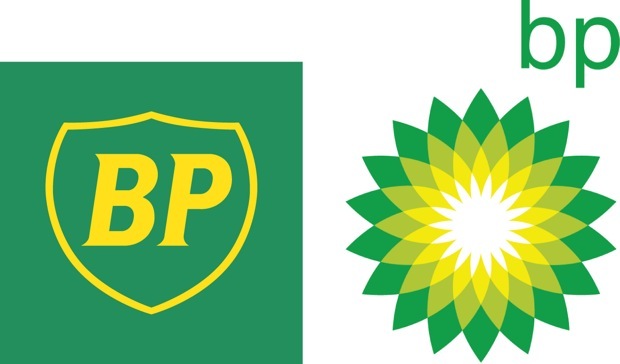 In a prescient move BP became “Beyond Petroleum” to push the “green button” while looking ahead to our post-petrol world. But if their clean-up of the current spill off the Louisiana coast is not quick and complete, their green image turns to black. Blackwater, embroiled in multiple violations in Iraq, including murder, changed to “Xe” (pronounced “Zee”), the most covert of logos for their continually covert business. However, maybe they’re planning to launch a new fragrance line. Great branding is not the design of the symbol or typeface. It’s keeping the promise the brand identity projects. Proof? Even a logo by a legendary designer (Paul Rand) can’t protect a toxic brand (Enron). 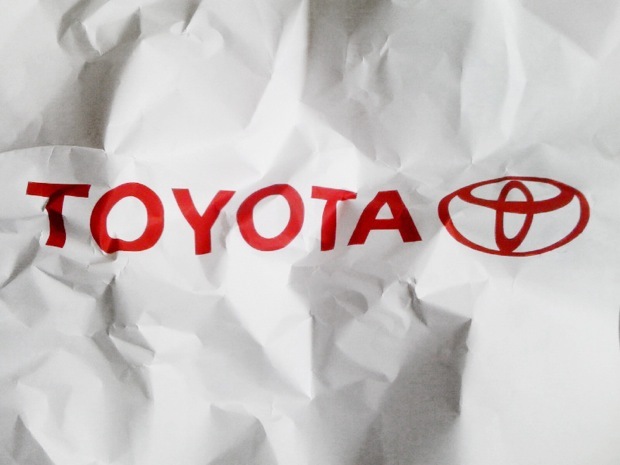 Toyota’s problems are clearly beyond logo design. But what should they do with their brand if they weather their current tempest? I’m not certain and they haven’t asked. However, having refreshed many brands over the years, I have a few suggestions on what they should avoid. What do you think Toyota should do?